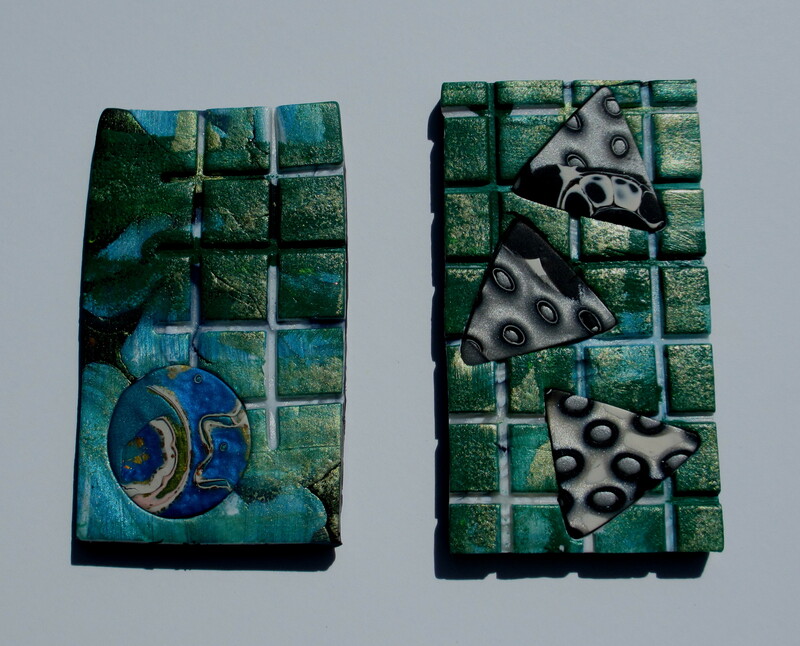 My self-directed studies of surface design on polymer clay has opened up an array of options. I’ve always wanted to apply oil/acrylic on canvas, but realize I lack an innate talent for drawing. With polymer clay as a canvas, investigating the use of different mixed-media techniques satisfies my desire to paint. 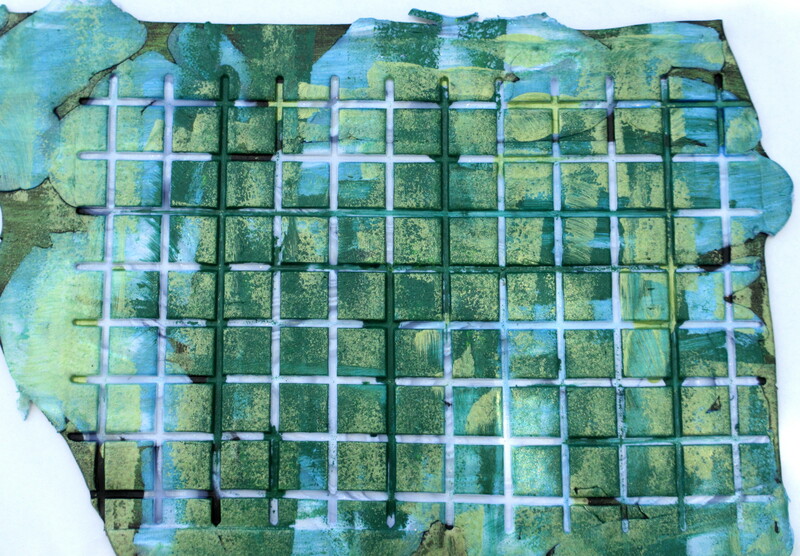 Blog post, On The Grid, dated July 7, discusses applying texture and paint to the surface of a Mokume Gane enhanced sheet of black clay. I looked at the piece for a week trying to decide what to do with it. Next Next post: What Do Edward Ruscha and Freeway Lady Have In Common?